Santa Barbara is known to people around the world as a charming city located in a paradise-like atmosphere, and it was shaped and influenced by Pearl Chase, who was seen as the pearl in the crown of this community who appeared to micro-manage it�s successful into stylish growth through her determination, persistence and hard work. The name Pearl Chase is one that is familiar to old and young residents of the seaside city and is always associated with its renown. She was a powerful woman who influenced the politics and life in Santa Barbara for all time. It was 125 years ago�November 16, 1888�when Pearl Chase was born in Boston to well-to-do parents Hezekiah and Nina Dempsey Chase. At the time, Santa Barbara was a small town on the California Coast, but proved to be the perfect place for Hezekiah to improve his poor health and the family moved west to live in Santa Barbara. From her early days at Santa Barbara High School Pearl Chase was a leader and graduated in the class of 1904. She was a fine student with high energy that would serve her during her long and active life. There is a classic photograph of her on file with the Santa Barbara Historical Society showing her with the SBHS girls� basketball team that speaks volumes. The game that had been invented just a few years earlier had not really been played by women, but she was seen in the center of it all, holding the ball above her head. She was the manager, coach and star player of the team. This role seemed to be her destiny in life. 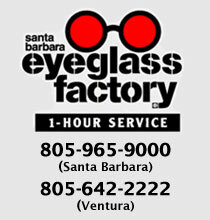 Thanks in large part to her visionary leadership, Santa Barbara has turned into a remarkable place that makes visitors smile in amazement, and is the talk of travel enthusiasts from around the world..
She has inspired generations to follow her example of civic involvement, but none have quite measured up to the standard she set. Her masterpiece is the transformation of downtown Santa Barbara: the preservation of the old in Pueblo Viejo; the creation of the new in the Santa Barbara County Courthouse; and the founding of organizations to continue her work, including Trust for Historic Preservation. Pearl Chase Society even took on her name. The story of her public life, her work and the city she shaped reveal what Pearl Chase accomplished to make Santa Barbara what it is today. One hundred and twenty-five years after her birth people continue to appreciate the First Lady of Santa Barbara, who cherished her beautiful beach town. 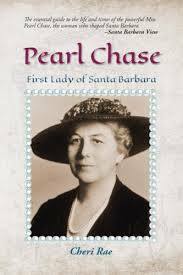 Cheri Rae, author of the new book Pearl Chase: First Lady of Santa Barbara (Olympus Press) offers an interesting insight into Pearl Chase, one of Santa Barbara�s great leading women. Cheri is a respected writer and book author who resides in Santa Barbara, Califronia. 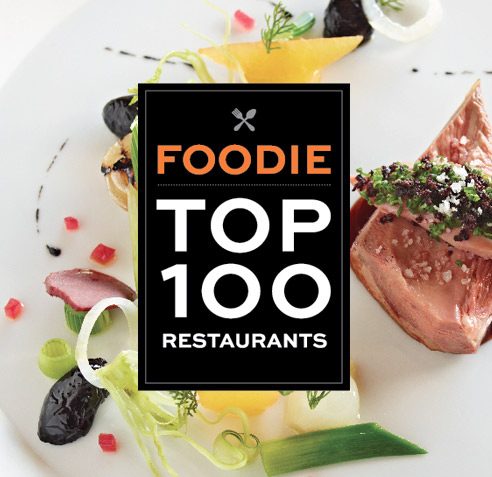 The Foodie Top 100 Restaurants lists (see below) spotlights restaurants that provide exemplary dining experiences first, along with d�cor, service, and drinks program that complement the dining experience within the context of the food. This format paves the way for recognition of superb restaurants that may not fit into the narrower, more traditional definition of �world class� or star ratings. Foodie Top 100 Restaurants is for foodies who don�t want anonymously compiled directories or crowd-sourced reviews. Available now! Foodie Top 100 Restaurants: Worldwide guidebook offering detailed accounts of the most innovative menus, ambiance, and service, accompanied by critics� tips, beautiful color photographs, and bonus lists of the top 100 lists from France; Japan; the United States; and Europe, the United Kingdom and Asia Pacific. Kundo Koyama (Japan) award-winning screenwriter, scriptwriter; conceptualized and wrote the first Iron Chef in Japan in 1993. Available on Amazon.com.